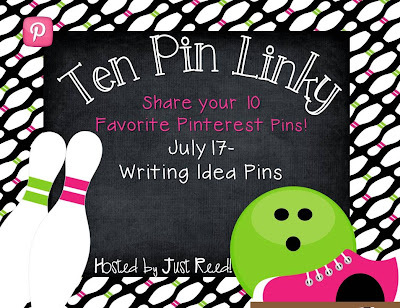 I just love Ashley's Ten Pins Linky Party, and this week is all about writing! I have to admit that teaching writing, to me, is a challenge. Each group is different, and their needs are different. In fact, the past couple of years, I have had a writing plan in mind, but once my students came into my classroom, and I saw their needs, my plans quickly shifted. I think that's what makes teaching writing so difficult, but I enjoy seeing the progress they make. Here are my 10 faves for writing! 1. Of course, I love the heart map. We have done this the past couple of years, and the students have enjoyed it. This one from Mrs. Carroll at The First Grade Parade is so cute! 2. Writing Fix!! If you have not checked out all of the great lessons on writingfix.com, then you must head over there right now! I love this site for writing! 3. This activity is from Babbly Abby at The Inspired Apple and is one from her Tpt store, but it is so cute! I want to do this with my class this year. 4. Did I mention that I love writingfix.com? 5. Sarah from Write On, Fourth Grade has some wonderful bulletin boards for writing. 6. This one is great too! 7. This one is from Sarah, too! 7. I love this anchor chart and lesson for the "Writer's Eye" from Flamingos and Butterflies. 8. This is a great idea from Two Writing Teachers. It is a great idea for organizing information in expository writing. 9. There are so many great anchor charts, and this one is both cute and very functional. It is from Luckeyfrog's Lilypad. 10. Isn't this such a cute idea? This is from 1167 Jackson when she posted about her mother-in-law's classroom. Ten Pin Linky Party: Reading!!! I love Pinterest and spend far too much time there. It is just so addicting! I am amazed at the wonderful ideas that I find, and for Ashley's Ten Pin Linky Party, the reading ideas on Pinterest are not disappointing. There are so many wonderful ideas! Be sure to check out everyone who linked up with Just Reed. 1. I love all of the anchor charts on Pinterest, and this Author's Purpose chart is great! 2. I love this character traits bulletin board! 3. I love Patricia Polacco's books, and I love this great anchor chart. 4. These bookmarks are super cute and would be great to make for the class. 5. This author spotlight bulletin board is great for motivating students to read! I want to make one this year! 6. This is a fun activity that I do in my classroom to help students understand nonfiction text features. Enjoy Pinterest and be blessed! I'm sure you know by now that Google Reader is gone. Well, I've decided to use Bloglovin, and I just found out that with Bloglovin, I can sort the blogs that I follow into categories and prioritize my blog list so I won't miss my favorites! I love that! So, let's go on a blog hunt together and discover, or rediscover some wonderful elementary blogs! Just click on the link below! Thank you so much to Laura Candler for creating this great linky! If you followed me with Google Reader, I'd love for you to follow me with Bloglovin! 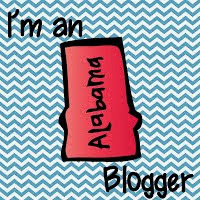 If you have never followed my blog, I'd love for you to begin! 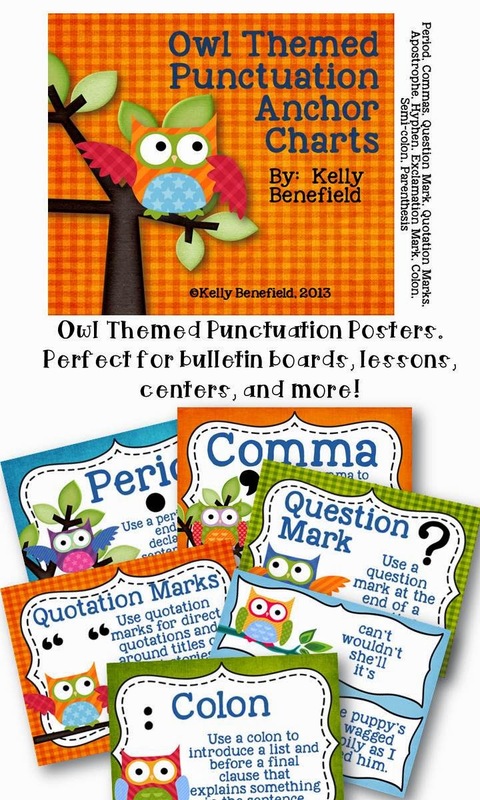 Just click the super cute Bloglovin Button from Melissa at Common Core and So Much More!